Most companies would love to move enterprise applications to the public cloud and cut the costs, complexities, and limitations of current infrastructure. Major public cloud providers, such as Amazon Web Services (AWS), Microsoft Azure, and Google Cloud have done well in enabling web, mobile, and content applications in the cloud. These are cloud-native applications designed to use cloud “object” storage, and object storage is very popular for use cases such as backup and disaster recovery. However, enterprise applications typically require “block” storage. Although native cloud block storage exists, it has several shortcomings, particularly around reliability, durability, and lack of data mobility. So, enterprise applications have largely stayed on-premises or in private clouds. Now there’s an innovative new way to move enterprise applications to the public cloud while actually reducing risks and tradeoffs. 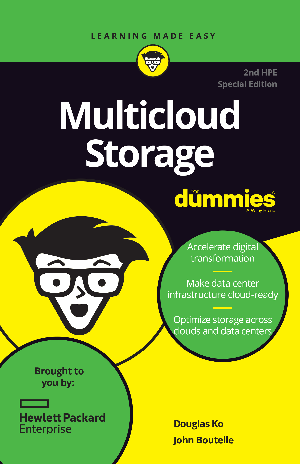 It’s called multicloud storage, and it’s an insanely simple, reliable, secure way to deploy your enterprise apps in the cloud and also move them between clouds and on-premises infrastructure, with no vendor lock-in. Multicloud storage allows you to simplify your infrastructure, meet your service-level agreements, and save a bundle.